Now the tennis season is over I am doing the fun things that I have been listing all year. Today I saw a movie in My homes cinema. The popcorn machine didn’t work at first so I had to send for a new one which was inconvenient as it delayed the start by about 14 minutes. However, I now am going to debut Myself as a GOAT movie critic. You’re welcome. 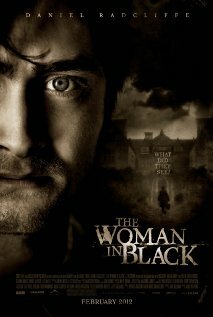 The movie was called, The Woman in Black. It was a horror flicks with ghosts and I must say if you like scary things then this will certainly give you the jeeby heebies. I will make the admissions that on several occasions I had to get staff to put their hands in front of My eyes. There were no slashings with blood and guts (like My tennis racquets which do have gut), it was a classic type using the psychology of frightening. The movie was based on a novel by one of My biggest fans, top UK author Susan Hill who likes Me so much. Follow her using twitter technology @susanhillwriter. I enjoyed the movie a lot, it was up to My standards which is the highest commendation I can award, you’re welcome. To offer a balanced review I should offer the negatives. Yes. I would like to offer Susan Hill some advice. After watching The Woman in Black I decided to watch the sequel, Men in Black. This is one of those times when people should not do follow up movies, Susan. The story did not carry on at all and I did not recognize any of the characters. The men in black were nothing like the woman in black. They were not the least bit scary either, well, not in the same way anyway. I’m off to bed soon, have asked staff to leave the light on. I humbly recommend You watch the Expendables 2 (OMG, i initially wrote “Expandables” but somehow that doesn’t seem to be the correct way to write it, even though there is obviously some plastic surgical influence in it). It has a couple of positives. It stars a bunch of formerly greats, so goes to show that there is still hope for those fading to the background eventually. It also confirmes that old people can be victorious, against all odds (to those who say the plot is somewhat unrealistical, i would stick up my hand and go tell them to talk to it). Additionally, this movie is not scary, even though there is some blood and dead corpses flying around. But the biggest + might be in knowing that, despite of telling him he would, Novak Djokovic is nowhere to be seen throughout the entire movie. If that doesn’t put a smile on Your face, than i don’t know what could. I expect that Murray makes record of a prize like Roger. The 1st place of a favorite player whom a tennis fan chooses. Ten-year continuation. The sportsmanship prize which Atp players choose is won 8 times. These records of his will also remain forever. I believe that Murray breaks these records. Thank you very much for mentioning my name on the Tweetings! I was very honoured by that (made me feel humble, but please don’t tell, ’cause a certain boss might feel threatened by the fact other people have the power to humblify as well :P). Dear Heidi. you’re most welcome and rest assured a certain boss will never know you have felt the humbling. I have instructed certain members of his staff (secret Andy fans) to keep him in the dark……literally and forcibly. Best wishes. In the spirit of the previous comment, the Australian Open final of 2009 that was a scary one!